In 2012, we had even more blogs to share. Some with repeat performances, others brand spanky new. Always check out the comments. Always. Happy Thanksgiving day to our community. God has given us life, freedom, and all manner of other blessings. Not the least of which might be the ability to communicate with others among us. In 2013, we must not have been on our Thanksgiving game. Although the Detroit Lions were. In 2014, one of the posts even considering the possibility of another potential Lions Thanksgiving day win. Couldn’t happen twice in a row, right? Well yes it did, and then again in 2015 making a new tradition, perhaps? The picture below was fun however. From an interview given by Sarah Palin, with the turkey processing in the background? Priceless! Blogging is becoming a lost art. Folks are wasting their efforts on FB alone, and the pickings are getting slim out there. 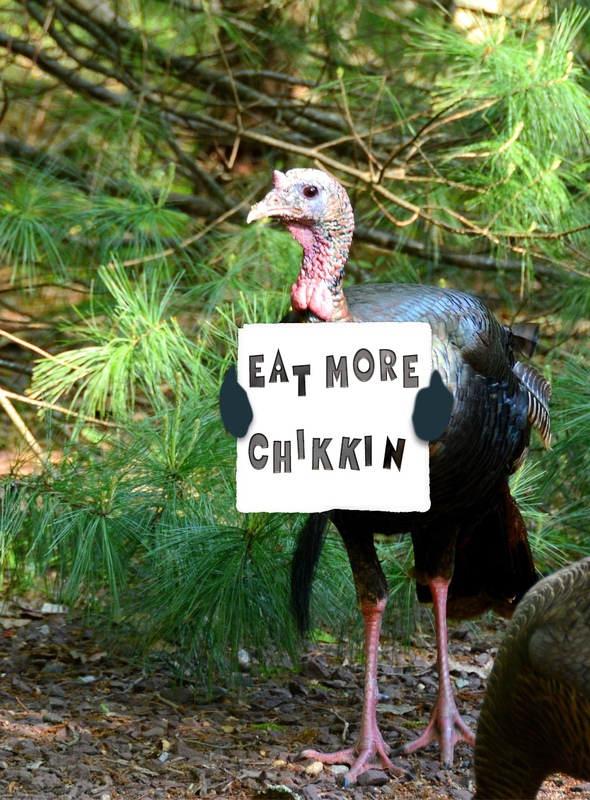 In our Thanksgiving 2015 post, we pretty much went with a picture of a lucky bird.